How can your organization better understand and become part of the circular economy? How can you future-proof your organization and reduce your linear risks? Through case studies, guest speaker, simulations, exercises, instructor-led group discussion and personal reflection, this workshop will assist you in understanding how your organization can integrate circular economy practices such as product-as-a-service, sharing platforms, circular supplies, resource recovery and product life extension as well as other “green business” solutions. This is a practical, hands-on session and is designed to introduce you to actionable ideas you can pursue at your organization immediately. You will also learn strategies to create a vision for and pathway to a more circular organization – preventing waste while reducing inefficiencies. To register and for more information see here. Join the Partnership for Water Sustainability in BC in Parksville, BC at the city’s Community and Conference Centre (132 E. Jensen Avenue) for the Symposium on Water Stewardship in Changing Climate. The symposium will take place over three days, the first being a field day on April 2nd, followed by a 2-day symposium on April 3rd and 4th. The symposium will celebrate local government initiatives on Vancouver Island that are ‘getting it right’. These success stories are characterized by 3 attributes: commitment, collaboration and the ‘hard work of hope’. A decade of effort, by partnerships of local governments and community stewards, is demonstrating success on the ground where it matters. They are on a pathway to reconnect hydrology and ecology. For more information and to register for the symposium see here. ASU’s School of Sustainability in partnership with the National Council for Science and the Environment are hosting a webinar on November 7th, where panelists will explore the risks and opportunities in the resilience finance marketplace and the financial mechanisms available to identify, evaluate, and manage climate risk. For more information and to register for this webinar see here. For more information on live recording and to buy tickets see here! Join ICLEI Canada for a one-day event combining panel discussions, presentations, and interactive breakouts designed to increase understanding of climate impacts and highlight how local collaboration is advancing action. ACT is a partner with ICLEI Canada on this project and Deborah Harford, the Executive Director of ACT, will be speaking as part of the Managing Community Climate Risks: Making the case for collaboration panel. Learn how to manage local climate risks through collaborative climate action and integrative adaptation across all sectors. Consider climate impacts across urban systems and the cascading impacts on natural, social, and built systems. Hear adaptation stories from the field and the many forms of decision-making and climate action. If you would like more information or to register please see here. The Smart Prosperity Leaders Initiative issued a statement on October 26th in support of carbon pricing and clean competitiveness policies. The initiative, which includes 24 prominent leaders from business, environmental, labour, social, youth and indigenous organizations across Canada was launched with the purpose to harness new thinking to accelerate Canada’s transition to a stronger, cleaner economy. 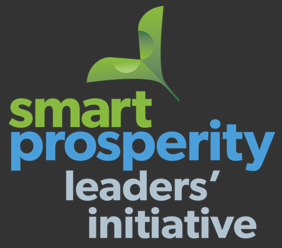 For more information on the Smart Prosperity Leaders’ Initiative and the full statement see here. 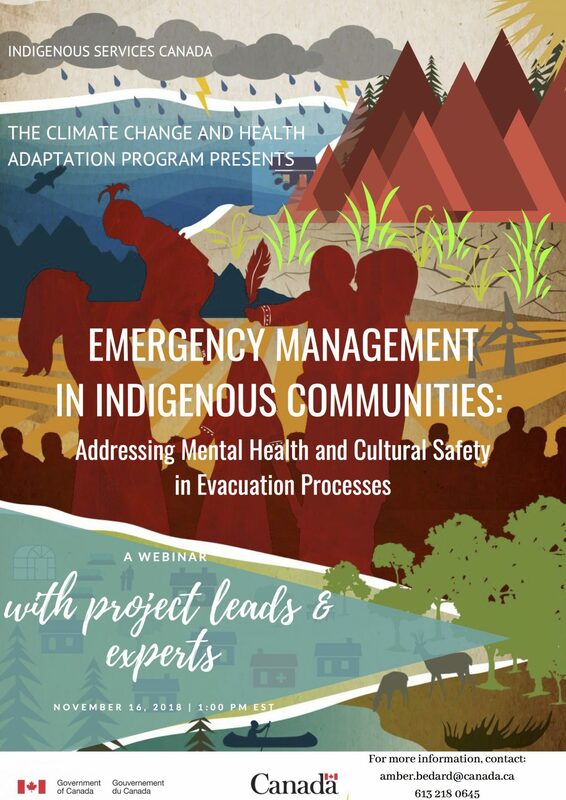 Emergency Management in Indigenous Communities: Addressing Mental Health and Cultural Safety in Evacuation Processes is the second webinar in a series of webinars that will take the opportunity to highlight the important work being done through the eyes of project experts. Additionally, you will hear from the CCHAP team on present findings and understandings related to the Federal Science Plan – which is a project under the Pan-Canadian Framework (Resilient Regions and Communities), addressing the mental health impacts of extreme weather events in Indigenous communities. For more information on the webinar and to register see here. The Minister of Environment and Climate Change, Catherine McKenna and the Prime Minister of the Netherlands, Mark Rutte met on October 25th, to formally announce Canada’s participation and support of the new Global Commission on Adaptation. In attendance were a number of experts in the field of climate change adaptation, including the Executive Director of ACT, Deborah Harford. The Global Commission is an initiative led by the Netherlands to bring attention to critical climate adaptation gaps. Canada’s contribution of CA$ 7.5 million will support the work of the Commission to encourage bold solutions to build resilience to climate-related threats. ACT is honoured to have been invited to such an event and we look forward to continued collaboration with and support of the Global Centre on Adaptation and the Global Commission on Adaptation’s goals and objectives. For more information on the Global Commission on Adaptation see here and for the news release see here. 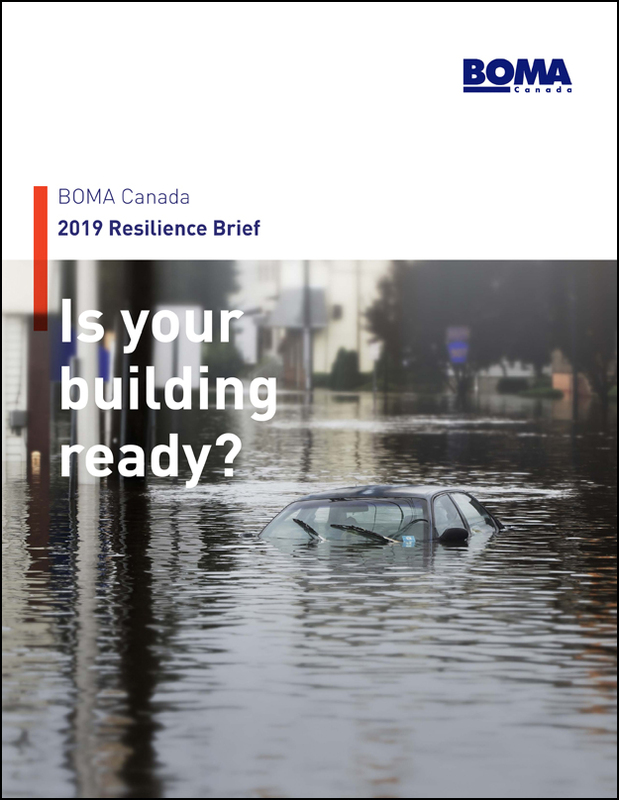 ACT is excited to share the latest version of the BOMA Canada Resilience Brief – an important tool to help building owners and managers begin to consider resilience and the potential risks imposed by extreme weather events. Following the disastrous events of 2016 Fort McMurray wildfires and the 2018 New Brunswick and Toronto floods, industry visionaries, led by BOMA Canada took a bold initiative and published the first Resilience Brief. This valuable publication was widely embraced by the commercial real estate industry across Canada. Today, more than ever, building owners and managers need to be prepared for extreme weather events. The latest version of the Resilience Brief has been released with the most up to date knowledge of resilience, and we encourage you to review it. To download a copy of the BOMA Resilience Brief see here. 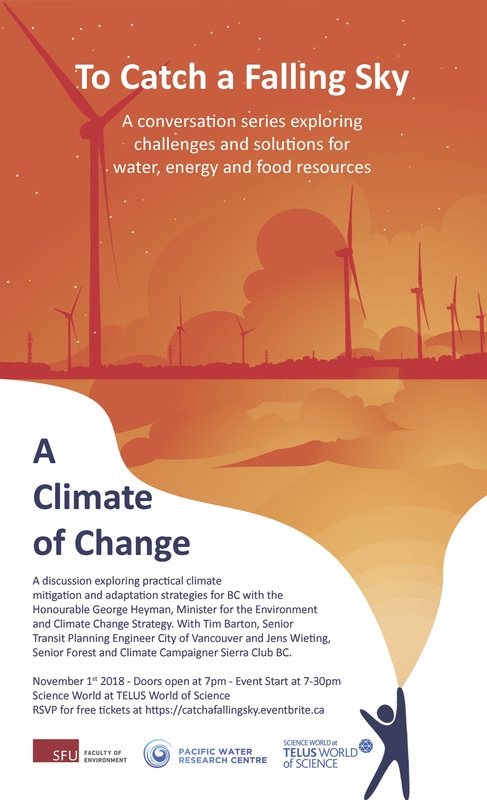 A conversation series exploring challenges and solutions for water, energy and food resources is kicking off November 1st with a discussion exploring practical climate change mitigation and adaptation strategies for British Columbia. 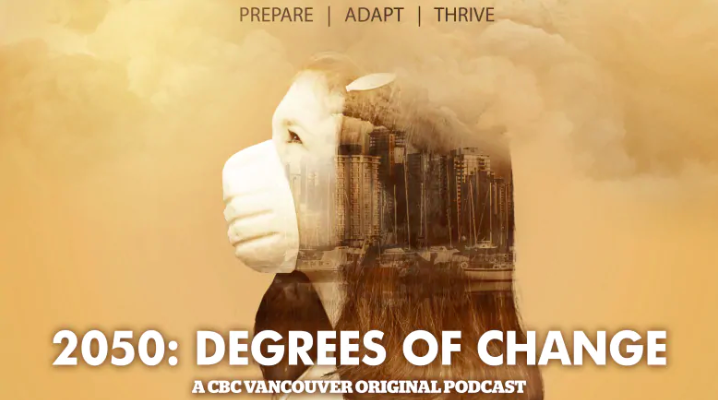 The series is presented by SFU’s Faculty of Environment (which ACT is proudly part of), the Pacific Water Research Centre and Telus World of Science. Free tickets available at EventBrite. Climate change is exposing communities in Northwest BC to changes in weather patterns and more frequent extreme events. These changes place local and regional critical infrastructure as well as health at risk, which the Northwest region has witnessed in recent flooding and wildfire events. Changing climate hazards have created the need to integrate climate change adaptation into policy, planning, landscape design, and public works maintenance. The Fraser Basin Council is offering a full day, free introductory workshop with a focus on flood and wildfire risk management in Terrace, BC on November 29th. True Cost of Wildfires and Why Building Wildfire Resilience is our Best Option | Bob W. Gray, Fire Ecologist, R.W. Gray Consulting Ltd. The World in 2050 (TWI2050) was established by the International Institute for Applied Systems Analysis (IIASA) to provide scientific foundations for the 2030 Agenda. 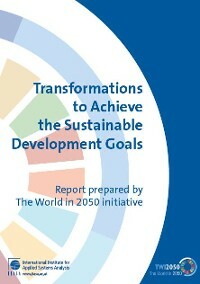 It is based on the voluntary and collaborative effort of more than 60 authors from about 20 institutions, and some 100 independent experts from academia, business, government, intergovernmental and non-governmental organizations from all the regions of the world, who met three times at IIASA to develop pathways toward achieving the SDGs. This report examines the current trends and dynamics that promote and jeopardize the achievement of the SDGs. It presents the TWI2050 framework, the integrated pathways which harness the synergies and multiple benefits across SDGs, and approaches to governing this sustainability transformation. TWI2050 identifies six exemplary transformations which will allow achieving the SDGs and long-term sustainability to 2050 and beyond; Digital revolution, Human capacity and demography, Smart cities, Consumption and production, Food, biosphere and water, and Decarbonization and energy. The IPCC has released the special report on the impacts of global warming of 1.5°C above pre-industrial levels and related global greenhouse gas emission pathways, in the context of strengthening the global response to the threat of climate change, sustainable development, and efforts to eradicate poverty. This report is in response to a request by the 21st Conference of Parties of the United Nations Framework Convention on Climate Change. We would like to highlight that Dr. Kirsten Zickfeld of SFU’s Faculty Of Environment is a contributing author of the report. D3.4. Adaptation options that also mitigate emissions can provide synergies and cost savings in most sectors and system transition, such as when land management reduces emissions and disaster risk, or when low carbon buildings are also designed for efficient cooling. To read the Summary for Policymakers see here. In anticipation of next months release of the IPCC Special Report on global warming of 1.5°C we would like to draw your attention to a recent article published in The Guardian, World ‘nowhere near on track’ to avoid warming beyond 1.5C target. The article highlights the improbable, if not the impossibility of the world limiting global warming to below 1.5°C above pre-industrial levels. We would also like to note the contribution of Simon Fraser University researcher Kirsten Zickfeld who is a contributing author to the IPCC report, along with fellow Canadians, Gregory Flato of Environment and Climate Change Canada and James Ford from the Geography Department at McGill University. To read the article in The Guardian please see here. In the wake of Hurricane Florence and wildfires that have swept the United States, on September 24, 2018 over 200 organizations, scientists and elected officials released the #Stand4Forests platform demanding the protection of U.S. forests as a vital climate solution. 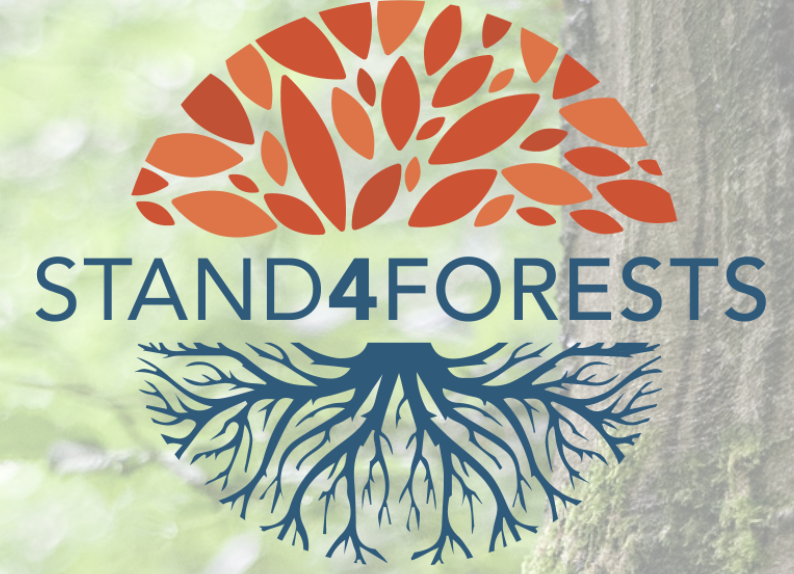 For the first half of 2018, over 25 environmental organizations and climate justice leaders in the United States worked together to collaboratively create the Stand4Forests platform. This inspiring group represented people from all over the US, who all offered their diverse perspectives, background, spirit, and wisdom to the conversation. Frontline communities and grassroots organizations, big and small non-profits, universities and institutes came together. Stand4Forests signers who were closely involved with the development of the platform included: Dogwood Alliance, 350.org, Center for a Sustainable Economy, Friends of the Earth, John Muir Project, Sol Nation, Justice Action Mobilization Network, the Leonardo DiCaprio Foundation, Mighty Earth, NRDC, Sierra Club, United Plant Savers, the Environmental Paper Network, Heartwood Forest Council, Wild Virginia, American Bird Conservancy, Dr. Bill Moomaw, Dr. Thomas RaShad Easley, Reverend Leo Woodberry, and Dr. Florence Anoruo. While individual organizations, scientists, and leaders that have endorsed Stand4Forests may differ in regions, priorities, and tactics, Stand4Forests endorses are united by a common goal: We seek a world where we value forests more standing than logged. We stand in solidarity to call for forest protection, climate action, and justice for all. For more information on the newly launched platform and events see here.